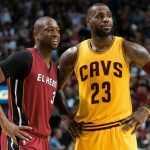 Las Vegas NBA odds favor the Golden State Warriors and Cleveland Cavaliers meeting for the fourth straight year in the championship series. But before Steph Curry and LeBron James once again square off, two teams will hope to block the rivalry rematch. 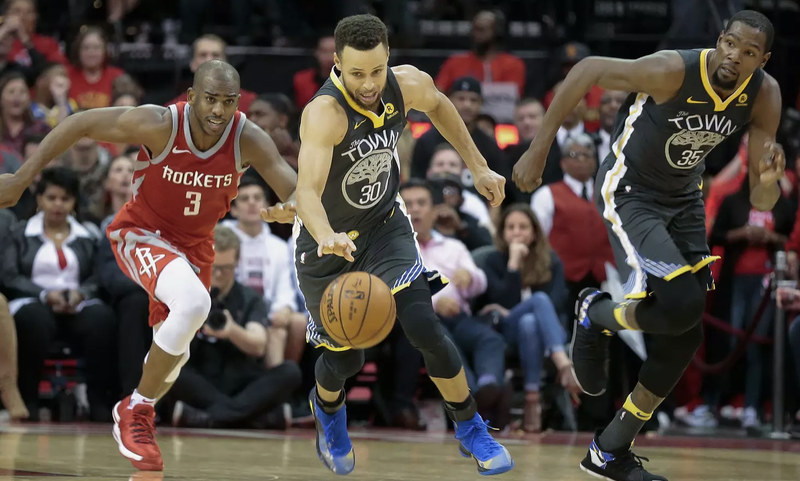 On Tuesday night, the Warriors and Houston Rockets both capped off their semifinal series to advance to the Western Conference Finals. 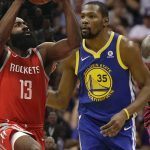 Though Houston won a league-best 65 games during the regular season, they enter as the underdog against the defending NBA champion Warriors. The Westgate SuperBook sets the best-of-seven series price at Golden State -190, and Houston +160. The line implies odds of the Warriors winning at 65.5 percent. A $100 wager nets just $52.63 should Curry and company reach their fourth straight NBA Finals. If Houston is able to overcome the odds, a $100 bet would net $160. 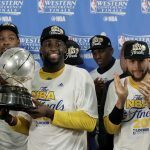 The Cleveland Cavaliers advanced to the Eastern Conference Finals on Monday after completing their sweep of the Toronto Raptors, which finished with the second best regular season record in the NBA at 59-23. LeBron’s team struggled through much of the year. Numerous roster changes and injuries led to the Cavs finishing fourth in the East at 50-32. But Cleveland is now playing its best ball of the season. It couldn’t come at a better time. James’ playoffs statistics resemble numbers out of a video game. Through 11 games, he’s averaging 34.3 points per game, 9.4 rebounds, nine assists, one block, and 1.5 steals. He’s shooting 55 percent, and playing more than 41 minutes per game. But LeBron is almost always LeBron (save game one against the Raptors). It’s his supporting cast who have stepped up. That begins with Kevin Love, who after struggling against Indiana in the first round in a series that went seven games, has come alive. 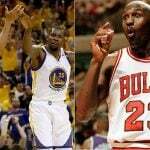 The traditional power forward who’s transitioned to the five has scored 31, 21, and 23 points in the last three games. Paired with Kyle Korver, JR Smith, and a healthy George Hill, and defending the Cavs has seemingly become almost impossible. Cleveland’s sweep of Toronto allows LeBron to get some much-needed rest. Regardless of which Eastern Conference Finals foe they face, they’ll enter as the favorites. The SuperBook has the Cavs at 4/9 to win the East, or about a 70 percent chance. Boston hosts Philadelphia tonight where the Celtics will hope to finish off the 76ers. The home team is favored by a point, and up 3-1 in the series, Boston is a strong favorite at -500 to advance in the series. The Cavs’ resurgence and advancing to the East Finals have greatly cut their title odds. During the first round, Cleveland was as long as 12/1 to win their second Larry O’Brien Trophy in three years. Today, the Cavaliers are at just 5/1. Golden State is the favorite at 5/7, and the Rockets are next at 2/1. The Celtics follow the Cavs at 25/1, and the 76ers are long at 40/1.